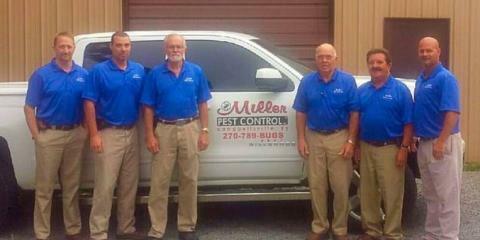 Whether your home is infested with rodents, insects, spiders, or another form of pest, Miller Pest Control, Inc. in Campbellsville, KY, has the services you need to rid yourself of them. Locally owned and operated, this company offers a wide range of pest removal and treatment services for residential, commercial, and industrial customers. From ants, termites, bed bugs, and other insects to birds, rodents, and other wildlife, there are various creatures who can threaten the comfortability of your home or business. That’s why these pest control experts offer a variety of removal services to tackle any situation you’re faced with. As a licensed and insured team, they provide liquid treatments and baiting systems, and they can detect termite infestations with great accuracy. Get the mosquito, termite, and wildlife removal services your home or business needs when you contact Miller Pest Control. Call them today at (270) 789-2847 to request your free estimate.